What do you do if your puppy (or mischievous older dog) gets into your holiday decorations and eats some of the glass ornaments? This potentially lethal mishap can darken even the brightest holiday season. THE PROCEDURE: Go to a pharmacy and buy a box of cotton balls. Be sure that you get COTTON balls…not the cosmetic puffs that are made from man-made fibers. Also, buy a quart of half-and-half coffee cream and put it in the freezer. Should your dog eat glass ornaments. Defrost the half-and-half and pour some in a bowl. Dip cotton balls into the cream and feed them to your dog. 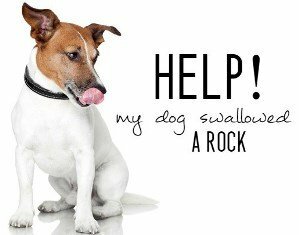 Dogs under 10 lbs should eat 2 balls which you have first torn into smaller pieces. 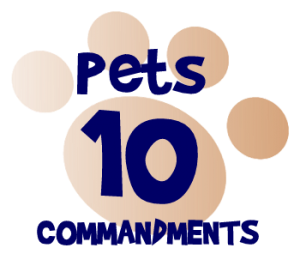 Dogs 10-50 lbs should eat 3-5 balls and larger dogs should eat 5-7. You may feed larger dogs an entire cotton ball at once. Dogs seem to really like these strange treats and eat them readily. As the cotton works its way through the digestive tract it will find all the glass pieces and wrap itself around them. Even the teeniest shards of glass will be caught and wrapped in the cotton fibers and the cotton will protect the intestines from damage by the glass. Your dog’s stools will be really weird for a few days and you will have to be careful to check for fresh blood or a tarry appearance to the stool. If either of the latter symptoms appear you should rush your dog to the vet for a checkup but, in most cases, the dogs will be just fine.